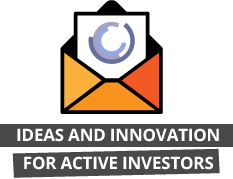 At Behavioral Alpha 2018, Dr. Maria Konnikova will take us through the behavioral science behind “the con,” and why even the savviest investors are susceptible to it. 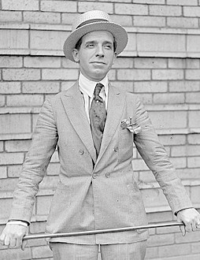 Charles Ponzi, whose name has become synonymous with “financial con”, was an Italian swindler who immigrated to America in the early nineteen hundreds. Born to a once-wealthy family that had fallen on hard times, he briefly went to work as a postal worker, but gave it up to live a jet-set life with his friends at university, in Italy. By 1908, he was broke and his family, hearing success stories from “the land of opportunity”, pushed him to try his luck in America. Ponzi arrived in Boston with $2.50 in his pocket, and worked his way up from washing dishes, to waiting tables (and getting fired for stealing), to clerk and ultimately Bank Manager, at Banco Zarossi in Montreal. It was at Banco Zarossi that Ponzi observed the “stealing from Peter to pay Paul” that became the trademark of the scheme that would eventually bear his name: when one division of the bank got into trouble, Ponzi’s boss funded its interest payments using a constant stream of new deposits. By 1920, Ponzi had been to jail and back for forging checks, but was nowhere near ready to go straight. He identified an aribtrage opportunity in “postal reply coupons” whereby he claimed that, due to the arbitrage arising from differing postal rates in different countries, the coupons would produce a 50% profit in only 45 days. Thousands of people lined up to invest, as he paid early investors from the proceeds of subsequent ones, “proving” his case. When the scheme finally blew up, investors lost nearly $10 million. Ponzi went to jail for about 15 years before being deported. He eventually settled in Brazil and died penniless. 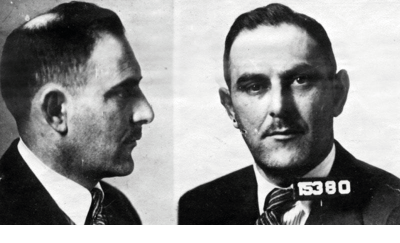 In 1925, “Count” Victor Lustig, an Austro-Hungarian con man with a lengthy criminal career behind him, went from America to Paris. There, he commissioned stationery with the official seal of the French Government. Next, he went to a well-regarded hotel, presented himself as a government official, and wrote letters to the top people in the scrap metal industry, inviting them to a meeting at the hotel. At the meeting, he confided that, for reasons he was not at liberty to discuss, the French government was going to be tearing down the Eiffel Tower, and the scrap metal was to be sold to the highest bidder. The bids flooded in. Lustig apparently pulled off the Eiffel Tower scam at least twice, but when he finally went to jail, in 1935, it was for running a massive counterfeit banknote ring. Not long after, he escaped from the ‘inescapable’ Federal Detention Center in New York, before being recaptured and sent to Alcatraz. He died in prison in 1947. Also making hay in 1920s America, albeit more ostentatiously, was Swedish-born business mogul Ivar Krueger, who owned banks, film companies, newspapers, mines, telephone companies and railways. When he decided to form a monopoly to control the world’s market in safety matches, international banks lined up to invest. 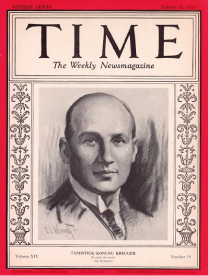 In order to secure the international support required to create a global monopoly, Krueger loaned money to governments at single-digit interest, while paying his investors double-digit dividends. The financial statements he shared with investors in order to attract a continuous flow of new capital were fabrications. The scam began to unravel during the stock market crash of 1929, when investors wanted to cash out. Krueger held on until 1932, when he was found dead in his apartment, allegedly having shot himself in the chest. The financial world mourned, until it became publicly known that he had spent much of his investors’ money – $250m (or $3.75bn in today’s dollars) – on his own luxurious lifestyle. 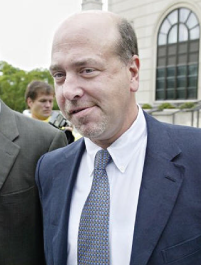 Samuel Israel III, a “likeable and charismatic” American hedge fund manager, founded Bayou Hedge Fund Group in the late 1990s. In 1998, in response to poor performance, Israel started faking his numbers, going so far as to create his own accounting firm. He was able to fool his investors until 2005, when redemption demand caused the scheme to unravel. In all, he cost investors $350m. Israel pleaded guilty and was sentenced to 20 years in prison, but he briefly escaped authorities by faking his own suicide. He turned himself in two months later after a nationwide manhunt that was featured on America’s Most Wanted. He is now serving a 22 year sentence prison sentence in North Carolina, only 60 miles away from Bernie Madoff. If you are old enough to have read this far, you’ll be aware of Bernie Madoff. And if, by some miracle, you’re not, you’ll find Robert De Niro’s take on the man on HBO’s Wizard of Lies. 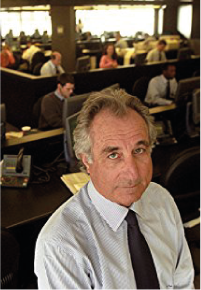 Madoff founded a penny stock brokerage in 1960 which eventually evolved into Bernard L. Madoff Investment Securities. The firm was one of the top market makers on Wall Street, and spawned the asset management division that has gone down in history as the epicenter of the world’s largest Ponzi scheme. Madoff cooked the books in a not dissimlar way to Sam Israel, but to add to the drama, Madoff’s victims were high net worth individuals, celebrities, charities and institutions alike. The SEC investigated the firm’s business practices multiple times over the years, but didn’t uncover the massive fraud that was going on right under their noses. In 2008, as the financial crisis unfolded, Madoff’s sons notified authorities that their father had confessed to them that the Madoff asset management unit was a massive Ponzi scheme. Madoff went to jail for 150 years, having bilked investors out of $18 billion of capital and $65 billion of assets including fabricated gains.